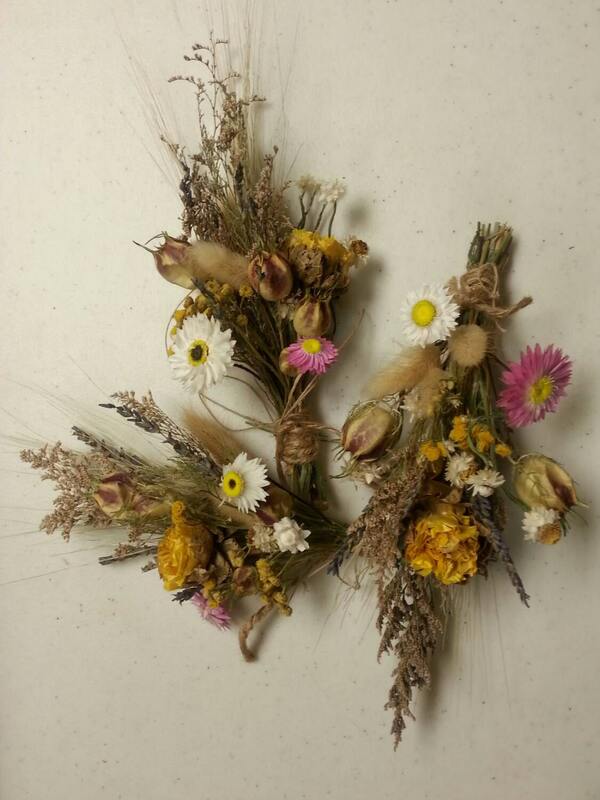 This listing is for a single dried floral bouquet. Made to order. Pictured is a sample of Small Spring theme bouquet. However, this listing is for a Medium sized one and will post a picture of it once I sell a medium sized one. Spring theme: Dried Pastel flower arrangement and botanicals in whites, pinks, yellows, dried wheat, dried lavender in a mini bundle tied with jute and a loop jute hanger. Measures approx. 12-14 inches tall and approx. 5 to 6 inches wide.